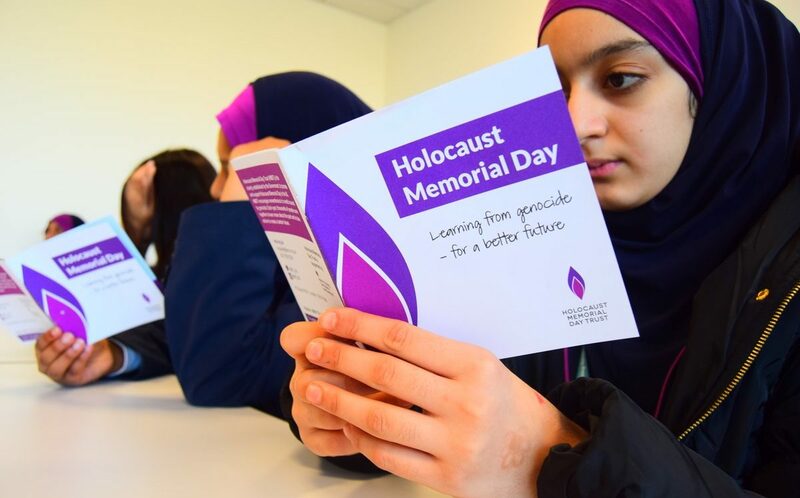 Pupils listened to the moving testimony of Holocaust survivor Uri Winterstein as part of the school’s commemoration of Holocaust Memorial Day. Year 10 pupils fvisited The Curve Slough, on William Street, to hear Mr Winterstein speak on Monday 28 January. 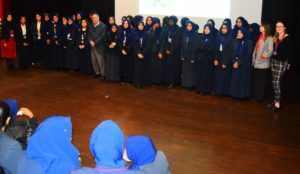 The girls heard that Mr Winterstein was born in Bratislava, Slovakia in October 1943. When he was only a month old, his parents put him in the care of a non-Jewish woman and he would not be reunited with his lawyer parents until after the Second World War. They made this heart-breaking decision realising it would be very difficult to keep a baby quiet if they needed to go into hiding, an eventuality for which they felt they always had to be prepared. During the War, Mr Winterstein’s father was a member of an underground movement known as the Working Group, which halted the deportation of Jews from Slovakia for almost two years (from October 1942 to late September 1944) by bribing key SS officers and government officials. 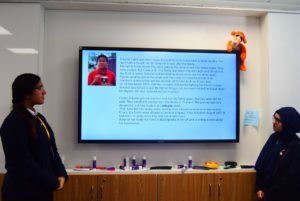 In autumn 1944, Uri’s father was deported to the Theresienstadt concentration camp but his mother and sister managed to evade deportation that day and went into hiding. However, they too were eventually caught and sent to Theresienstadt. When the Russian army approached Bratislava, the family Mr Winterstein was put into the care of decided to flee and gave him to a local peasant woman to look after. This woman did not wish to be bothered with the care of a child and he received little attention. When he was finally reunited with his family at the end of the war, aged 19 months old, he could not walk or talk and ate only rolls dipped in coffee, the only food he had eaten during his stay with the peasant woman. Despite this, without the minimal care she gave him, he could not have survived. Nine of Uri’s wider family were killed at Auschwitz. After the war, following the takeover of Czechoslovakia by the Communists in 1948, his family left the country and ended up in Brazil, where Uri grew up. 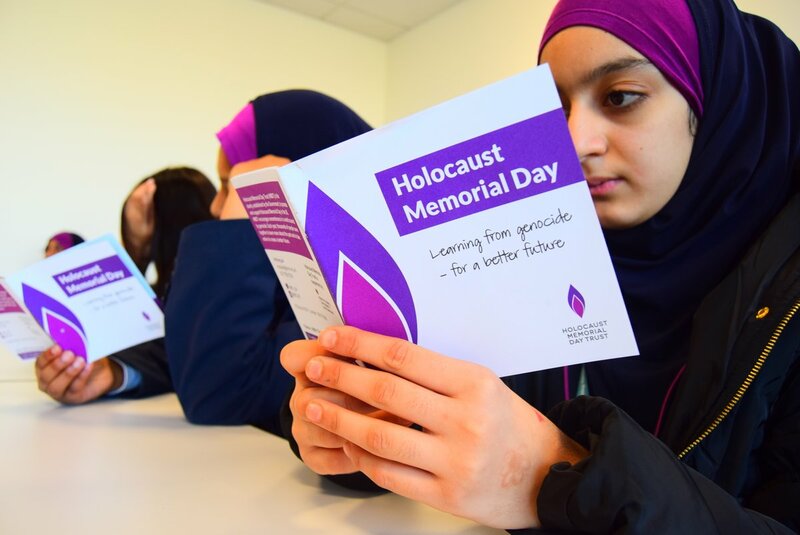 Other activities undertaken by the pupils for Holocaust Memorial Day included Year 8s taking part in the Holocaust Memorial Day Trust’s Postcard Project, in which students learned about Holocaust survivors and then wrote a personalised message on a postcard to be sent to the survivors. They were also given a special assembly by the school’s history teacher and learned about the Holocaust in form time. 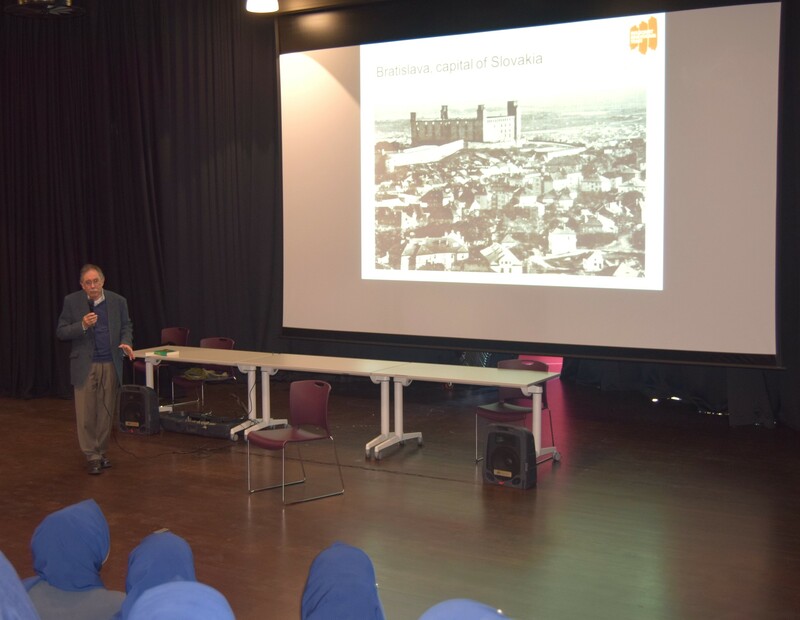 Pupils heard about the atrocities of the Holocaust first-hand from survivor Uri Winterstein. They have also been learning about the Holocaust and other genocides in lessons.